Sewing process is the last step of woven bag procedure before the final packing, after wire drawing, fabric weaving, film coating, cutting, printing or any other needed processes. Please find more through a comprehensive requirements example from USDA. This indicator is the bag of the most important key indicators in the plastic and composite plastic woven bags GB/T8946 national standards GB/T8947-1998, the clear edge to the seam and the seam to the end, the tensile load. the main factors affecting the strength of suture is suture types and models, from the size of the needle, stitch, suture crimping or folding to the side of the size of the bags, keen and cold cutting methods. woven enterprises of these factors should be developed internal control targets for FIBC, the national standard stipulates that the main junction of the tensile strength must meet the basic strength of more than 67%, the tensile strength of the bottom junction must meet the basic strength of over 42% for jack Cement Bag on the seal, it is recommended to the intensity of treatment as if the bottom seam, sew the bottom for the bag to the strength, the general is not up to target, it is suggested to paste at the end of bags for laminating cold cutting bag, recommended crimping process because the cold edge of the suture may cut through the wire from the tear with a weft for woven catchy without strength required sewing week, stitches can be dense, the line can be fine. 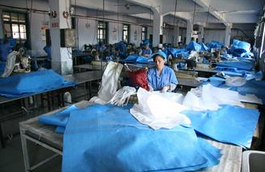 For plastic and composite plastic woven bags of the same length and width of the tolerance is +15 mm and-10mm. Do not meet the width of the tolerance of the tube cloth, in the process of screening out the bag, waiting to be processed for sewing bags stuck in the length tolerance is refers to the effective length of the suture, cut left to do when the seam. to do the amount of the size of the seam from the curling, folding, catchy specific conditions within the fold. FIBC tolerance is: 1m following 20mm, 1m above is 30mm. Toppan Printing is mainly woven, printed graphic position tolerance, clarity of printing graphics, printing color graphics, etc. Plastic products are not clearly defined national standards, some of the standard only requires clearly printed. So woven enterprises, according to user requirements to develop standards for business printing. develop enterprise standards, to consider their own types of printing equipment, printing ink types and printing capabilities. BOPP gravure to be standards. 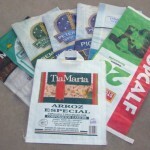 Plastic bags, composite plastic woven bags, container bags, cement bags, the lack of visual quality is not all processes are due to bag, but bag is the last process of a process, but also ensure the quality of the final steps. Woven products, national standards are not clearly defined adhesive strength indicators. Which can be woven according to user requirements and business standards to develop enterprise standards, and we recommend according to national standards GB/T8947 <composite plastic woven bag in the adhesion to tensile strength to develop enterprise standards it applies not only to a variety of adhesives, also applies to a variety of adhesive bonding in the joints, affecting adhesion of the main factors is the adhesion bonding material, overlap width, the substrate affinity for other bonding material. Bonding with the molten resin, if the temperature of selecting the appropriate materials, adhesive strength after strength should reach about 80% of the substrate. 2.3 Select the molten resin. For the polyethylene film for the substrate with a coating grade polyethylene fabric can be, because their better compatibility for polypropylene fabric coating for the substrate, coating grade polypropylene can be used or special polypropylene sewing materials in their melt index :16-20g / 10min. We hope seam adhesive material PP material PP flat yarn melting point than the low temperature about 10 ℃, woven to prevent the thermal aging. 2.4 An adhesive material when the PP in the seam. extruder extrusion temperature can be controlled at between 260-280 ℃ for PE in the bonding material when sewing. extruder extrusion temperature can be controlled at 255-265 ℃, different resins, different devices can be adjusted as appropriate. 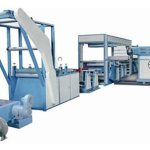 extruder flow rate may be controlled by adhesion, film thickness 0.05-0.12mm can be extruded. Adhesive used in small joints, mainly for the paste at the end. Adhesive formulations, preparation techniques, preparation of equipment application methods affect its quality and adhesion. Formulation of the main agent and curing agent is available to users, respectively, The user-site preparation. the main agent and curing agent mixture resulting crosslinking, the chemical reaction process carried out at room temperature, slow, fast curing temperature. so much the amount should not exceed the amount of preparation, cold storage after preparation, storage time Do not be too long, when the store closed, such a formula: 200L particle mixing ethyl acetate and 25kgUlite3076 8h, dubbed the mother liquor, then add the coagulant and thickener, and then stirred 5min, dubbed the adhesive used to bond the seam or paste at the end. 3. Side sealing valve at the end of welding and process indicators of the mouth. Currently, the world’s most advanced sewing bag technology is not, nor is it binding, but the seal welding. Seal welding equipment similar to the paste at the end of paper machines, but some of the paste to seal the end of welding, heat sealing equipment, first printing cloth cutting the film tube, then folded it up and down the mouth. With around 400 ℃ hot air welding valves and strengthening plate. The key technology is the strengthening plate welding. 3.2 Factors affecting heat sealing. Fully bonded coating and the substrate is a prerequisite, if the lack of peel strength, heat seal welding, the phenomenon will have a cloth membrane, which requires the coating surface oxidation must be appropriate to improve the peel strength will be over-oxidation adverse consequences of heat and pressure of the resin surface is the mutual integration of weakening. 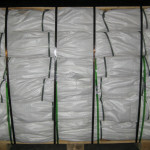 3.3 Square bottom valve bags of quality standards. Pocket square bottom valve bag than the average quality is high, it is an international high-strength bags popular now, there is no unity, for a variety of packaging materials, national standards. GB9774-1998 <cement packaging bags> , only provides for the end of the cement paste or paper bag packaging paper / plastic bags paste at the end of some quality indicators. 3.4 Comparison of seal strength. Woven / paper composite seam pockets, whether it is folding, crimping, wrapping, and its strength is the lowest, and its tensile strength is only 50N-150N/5cm. Woven / film seam pockets, side bags which pack the lowest strength, folding bags second, crimping the bottom seam bags best .GB/T8946/8947 requirements to strength, TA-type bags 200N/5cm, A-type bags 350N/5cm , B-type bags 300N/5cm, C-type bags 350N/5cm. Its strength than woven cloth / paper composite high seam pockets. Paste pocket square bottom valve port, its adhesion strength to strength according to GB/T8947 implementation, ie, TA-type bags 300N/5cm, A-type bags 350N/5cm, B-type bags 400N/5cm, C-type bags 400N/5cm It’s slightly higher than the strength of woven, woven / film seam pockets. Bottom side weld sealing valve port bag, its highest intensity. Sufficient amount of overlap, and the substrate can be the same as its strength and it is currently the most popular, highest intensity of the bag type. 4. Sewing thread of technical indicators. 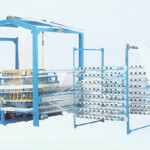 4.1 Woven cotton and polyester line with technical indicators. Cotton sewing thread with the woven stitch by national standards and polyester sewing thread GB/T6835-1997 national standards GB/T6834-1997. 4.2 Linear density (tex) and English count (Ne) choice. 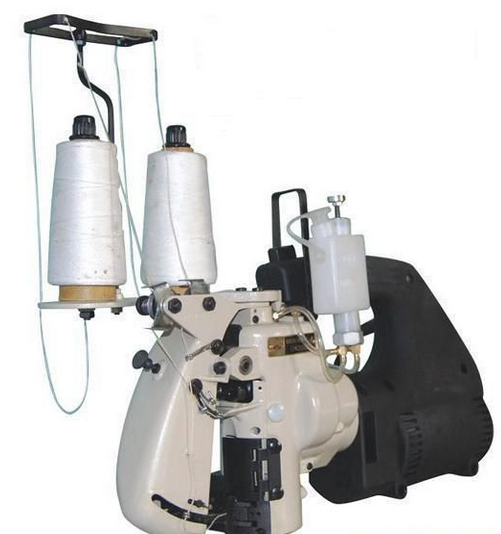 Line density is a measure of material per unit length on the slender quality standards for sewing thread can be considered as the line thickness for polyester and cotton line, since the quality of weight polyester than cotton, so the same line density. The same strand and viscosity premise, polyester cotton fine line than some so choose polyester line 29.9tex (20Ne), the switch to cotton, the best to use the linear density smaller 18tex (32Ne) to prevent the line through the pinhole problems. Tex (tex): 1000 m yarn quality in the moisture regain weight when the number. Denier (D): 9000 m yarn quality in the moisture regain weight when the number. Metric count (Nm): moisture regain in weight when one gram of yarn has the length in meters. English count (Ne): when the moisture regain a pound of yarn has the length in meters. (Each equal to 840 yards long twist). 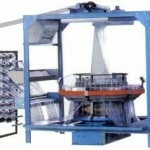 Moisture regain is the yarn: (weight before drying – dry weight) / dry weight ratio of the percentage. Within drying temperature 105-110 ℃, drying to constant weight. Currently, some still used English sewing thread suppliers, said index line density, such as Ne: 20s / 2 * 3, said a total of 6 inch 20 shares of yarn. 4.3 Number of shares, in-line breaking strength, twist, twist. Shares: Each line consists of several strands twisted into, generally 2-12 twist into shares. Single fracture strength: according to GB2543-81 test single pull-off force, with the N Newton said. Twist: each 10cm long single-strand twist of fresh turns. Initial twist: no partnership before the single-strand twist. Complex twist: the twist partnership. Twist: fresh twist line direction, clockwise for the S, anti-clockwise to Z.
Woven cotton sewing thread and polyester sewing thread with national standards GB/T6835-1997 and GB/T6834-1997 forth in its quality and appearance of tolerance. Generally woven silk with side or the production of sewing thread split film yarn, linear density 150tex more, look no glitches, no off sets of spindles.